Should I get the Turnigy 9X or 9XR? I recently had three 3S 2200s and a few smaller batteries delivered via UPS from China. I know some shippers have certain limits and regulations, and leave that up to HK to figure out what options I have. For better or worse... ? I can't say if the battery you are looking at will require any modification, although it looks like it has different plugs than mine. Here's what I did with my 1800. I took the original AA battery holder and cut off the plug that plugs into the 9X. 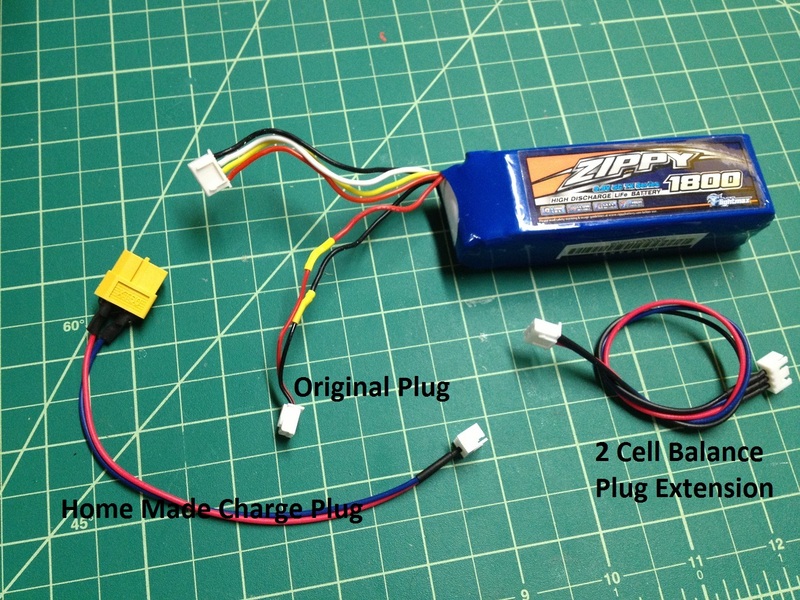 I CAREFULLY cut the Zippy plug off and replaced it with the 9X plug so I could plug the battery into the radio. So now it plugs in, but it doesn't have a plug that fits my charger. To fix that little problem I took a standard 2 cell balance plug extension and removed the one wire from the female end I didn't need. I then soldered a male XT-60 to the other end. Be careful not to only go by the wire colors on the balance plug extension as the red wire ends up being the ground! Here you can just make out that the positive output wire from the charger goes to the blue extension wire while the black from the charger ends up with red on the extension. Double check the work before plugging it in! This setup only took a few minutes to complete and I had all the components on-hand already so it didn't cost me any extra money or time shopping. By the way, I last charged this LiFe battery back on March 22. Since that time I've flown at least 4 hours and have had plenty of time with the radio on testing various programming and it's still at 59% charge. Since I took it out for these pictures I'll charge it, otherwise I'd probably fly another day before charging it. Don't forget to make sure your charger supports LiFe batteries. Since you're getting 2200s I assume you're not running some generic little charger that came with an RTF kit, so you're probably safe. But I'll say it anyway. Ok, cool. Is that this battery? That is available from the US warehouse so that might be a better option for me. Thanks for the pictures, I probably end up doing what you did. I have this charger right now, but I am looking to replace it especially now since I don't think it charges LiFe batteries. What charger do you have? Do you recommend it? That looks like my battery - 1800mAh, 5C, etc. Don't be fooled by the plug that LOOKS like the one you plug into the radio, it won't fit so you have to replace it. I've heard others just make an adapter to make it fit, but I didn't want to take up the extra room in the batter case as I also have my plug for the Smartiparts board in there. Everything fits with a little room to spare. It looks like that charger you have is only for LiPo batteries, so unless I'm missing something you'll need to upgrade. I don't recommend it for a couple reasons. First, it's backordered. Second, there is no cooling fan and if you're running 2200s you'll overwork it pretty quickly. When I only had a couple smaller batteries (up to 1500mAh) it was fine, but now I've got a couple dozen batteries in various sizes and if I take 4 or 5 planes out to play I need to take a lot of batteries. To save a LOT of time I parallel charge batteries. This method lets me charge up to 6 packs in the time it normally takes to charge one. However, trying to charge even 4 of my 2200s at once needs a lot of power unless I charge at a low rate. Technically, I could charge 4 of my 2200s in parallel at 8.8A to have all 4 ready to go in the time it takes to charge just one at 2.2A. But this charger won't handle that kind of draw. I'll run it to around 3A. More than that and it gets too warm for my comfort. In fact, I could smell it getting hot the first time I tried to charge at 4A. But I can still set it up and let it slowly charge the bigger packs when I have more time - it's better for the batteries charging slowly. Whatever charger you get, don't forget to see if it requires a power supply. Many (like mine) require a 12VDC source. It comes with jumper cables, but I had to buy a power supply to run it off of 120VAC or another cord to run it from the car's cigarette lighter. My next charger will have a cooling fan and more power for charging multiple batteries at once. I assume I'll need a 12VDC source to power it, so that will need to have enough power to handle both chargers. I like the charger I have and how it operates, so I'll just use it for charging the smaller packs, or for slow-charging the bigger packs. The new charger will be for heavier charging duties. Also, if you go the same route as me, MAKE SURE YOU DON'T CUT BOTH BATTERY WIRES AT THE SAME TIME WHEN YOU CUT THE PLUG OFF! Do one at a time! This should somewhat go without saying, but both at the same time shorts the wires and leads to what I like to call "a learning experience". First off the 9x can do just about anything you want to... however, for me, there is a HUGE learning curve. For example, In the settings menu you can set your model to have reverse throttling however It didn't change in the Function Settings for that Model. when you turn on the Radio, in the bottom left corner of the radio it shows your current model name ... just above that it says something like "MODE 1" I thought it was telling me that my model "AirWing" was programmed for MODE 1.... so I kept reprogramming it for MODE 2... but it never changed... then i realized that on the main screen MODE 1 was MODEL #1 .... Like there wasn't room on the display to add the L in Model... bastages.. The biggest thing I hate is that there isnt a manual. The Trim settings are not long enough. Meaning I max out the raido's trim but the plane still is not trimmed out (not sure if there is an adjustment... but my adjustment on the plane / servo's looks real spot on... not sure why I cant get the plane to trim out. When using Elevons... if you slowly move the Elevator control there is a twitch where the elevons will jump then turn back to where they should be .. There is a youtube video on this... I think i did a search for Turnigy 9x problems when i found it. Basically the learning curve on this thing is a BIATCH without a manual. More so for a newbie like me which this is my first programmable radio. It sounds like you are referring to the stock programming firmware in the 9X, which won't pertain to this conversation because the person asking about it is already planning on upgrading that firmware. Yep, but you can "try before you buy". Here's a link to Companion9X. It has a simulator for the radio built in. Download it and start playing. Fairly good documentation and help files. Remember all this Companion9X, Open9X and er9x firmware was developed by unpaid volunteers, and they've done a fantastic job. They've got templates for various planes and helis, so you can see how others handled mixes, exponential curves, etc. don't be intimidated: the standard templates will give you 95% of what you want. I have no idea what some of it does, but it gives you room to develop. Save what you do, and you'll be ready to download YOUR version to your 9xr or 9x (once its modded). Check out the series of "lessons" on programming the ER9X. This will be a huge help in understanding how the whole thing works. It's somewhat painful to sit through more than a few at a time, but his English is a LOT better than my Russian! His videos really help the learning curve. Helping your dad, on the other hand, is all on you! I'm in the same boat, however. My dad needs a new radio and I'd like him to get the an ER9X, but I'm worried about it being way over his head. If we lived under the same roof or even somewhat close to each other it wouldn't be too bad, but 3 hours of driving to help program a radio is more than I want to do. But there's an solution to that! This is a computerized radio that can be programmed right at the transmitter or even from your computer! I often use the computer to more easily make changes to programming and then upload the information to my transmitter simply by plugging it in and pressing a few keys. If I can get my dad comfortable enough with plugging the transmitter into the computer and uploading files I might be able to make this work. I'll do the basic programming for him and he can tweak it to make it work best for him. To learn it or teach it? I set up the 3 position switch to control the flaps on my Dynam Grand Cruiser and it works very well. I was able to program it to slowly raise or lower the flaps so the plane wouldn't jump from the sudden change of fast moving flaps. Since I don't like trying to remember if the flaps are up or down I also programmed it to beep every few seconds whenever the flaps are down. I've only used it a few times so far, but it works great and obviously reminds me if the flaps aren't up. You can do all that?! Now I am very excited to get my radio! Yep, you can make ANY switch on the transmitter do ANYTHING. It's quite an amazing bit of kit, considering it's running a truly ancient and low memory processor (ATmega64). As Lobstermash said, you can set it up any way you want (after some practice). Originally I set up individual dual-rates for aileron, rudder, and elevator with each controlled by their own switch. Then I got sick of flipping two or three switches so I re-programmed them all to operate off of one switch. You can set up different rates for each control (example, ailerons might be at 100% on high rate and 70% on low rate while the elevator might be 78% on high and 56% on low). Your expo has the same flexibility - you can set up more expo when using right aileron than on the left if you want. Plus your expo can be tied to the high or low rate so on high rate you can have more or less expo than on low rates. Don't let all that confuse or scare you off, it's pretty easy to set with a minimum of practice and it really gives you a LOT of flexibility! There is the ability to mix a lot of controls as well. My Hobby King Mini P-51 had a problem where it would climb heavily as I gave it throttle. The more throttle, the harder it would climb. I'm guessing it's just the thrust angle, but I don't want to take it apart to change it (CoG is fine and it glides very well). I tried trimming it down, but that would make it dive when I wanted to cruise at low throttle. What I ended up doing was mixing in some down elevator with the throttle. As I move the throttle up the elevator goes down proportionately to counteract the climb. It has taken a little tweaking, but it flies level at all throttle ranges now with a minimum of adjustment on the stick or trim now. There are tons of little tricks like this you can do with the ER9X or other computerized radios. Keep in mind, I'm working with the ER9X, not the stock 9X. I had a hard time figuring out anything on the stock 9X. Why the International Warehouse? Most of us avoid it like the plague. You'll probably be a month getting it. Not that the warehouse is that bad, but it may well be two weeks sitting in the post office. I checked the numbers, and it would be over $30 cheaper too. I realize the 9X with module isn't in stock now, but I'd advise patience. I guess I didn't realize it'd be that much cheaper. Did you account for the fact that the 9Xs are $10 more in US? After looking at some of my other items, I might be able to order everything from the US. Except the USBasp thing for flashing the radio. Any idea where I could get one of those? How long does it take HK to restock their 9Xs? My only issue with it is that it doesn't have much power. If you can plan ahead and have batteries ready when you want to fly you should be fine. Those larger 2200mAh packs take a while to charge and I don't like baby sitting the charger while it charges one pack after another. As mentioned, I parallel charge multiple packs at once to avoid that, but this charger doesn't really have the power to charge a couple packs at the 1C rate. I can still slow-charge them which isn't bad, and it's kind of cool seeing 6 batteries all charging at the same time. 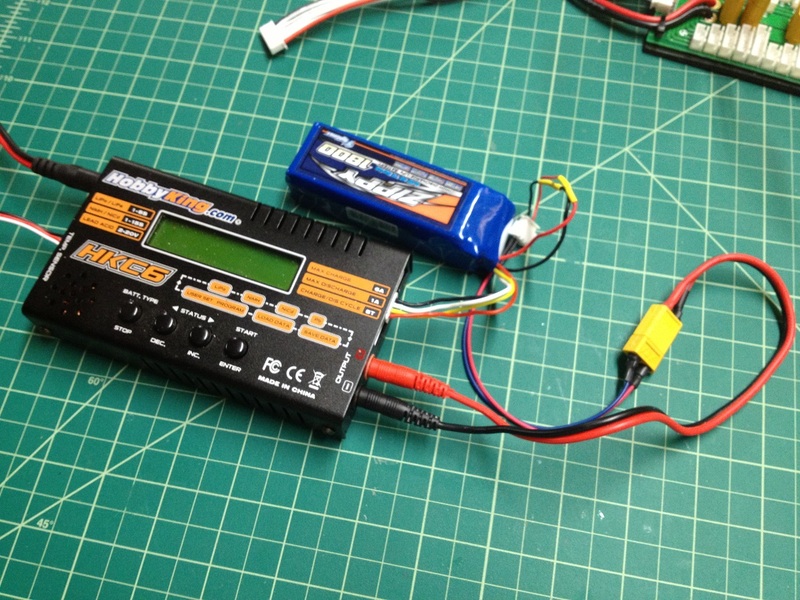 What are you using for a power supply to run the charger? 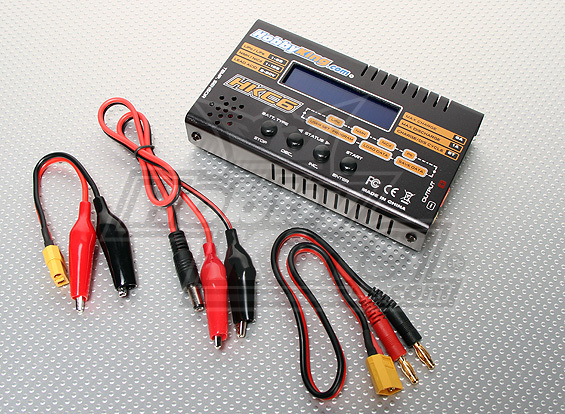 Those chargers need a good 12VDC source.